Our youngest has been funny lately about photos of her and my sharing of them. At times she is adamant that I not post any photo that I have taken of her – an issue that I bumped up against often while working on my now defunct #kidslifepjct – and I respect that request. Instagram project. 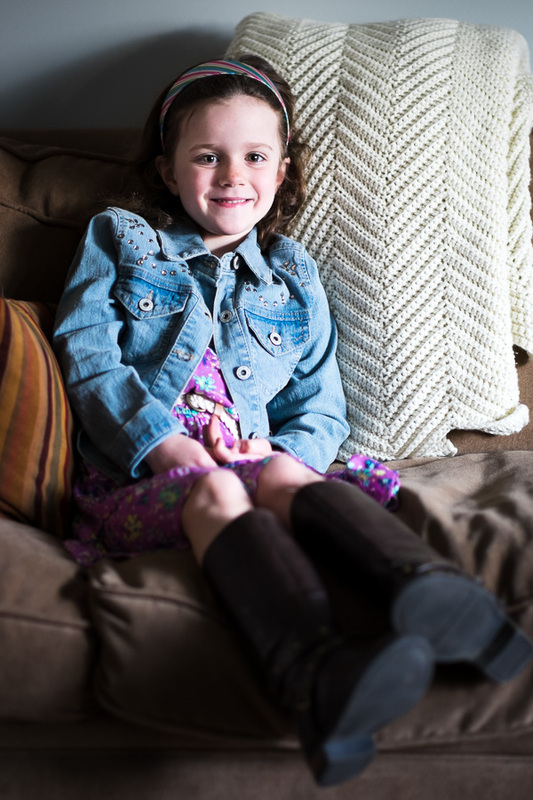 But this morning she was very excited to be wearing a new dress and denim jacket and was more than happy to sit for a short modeling session before school. As a parent you get the willing photos when you can. As with most of my child portraiture sessions I keep it light and add a batch of funny face poses to keep the interest. Actually, with my own kids it seems as if I need to add more of those than normal. Conditioned to the camera I guess.